Ron is a photographer, coach, entrepreneur. He started with photography in Junior High School. He learned all about photo processing, lighting and then enrolled in a mail order course that he eventually got my degree from. While doing that, he couldn’t decide on Photography, Ministry, Music or Science. He chose photography after studying music and business. He led a Worship Team and studied nature with his Photography. Win-Win! Ron is always looking to be ahead of the curve on new techniques both photographically as well as in his custom frame shop. 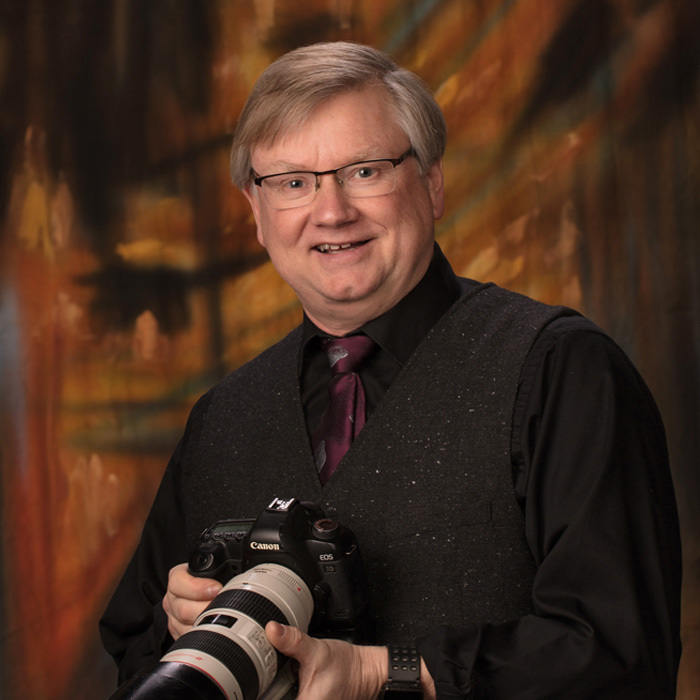 Over the past almost 40 years in business; he has watched both the number of Professional Photographer Studios and Professional Frame Shops dwindle, while the part-timers numbers increase. Ron believes education is still key and better than that; personal learning (hands on) from one who knows is the best. Since 1980, Ron has spoken on Senior Portraits, specialty children portraits, Photoshop, Painter, Custom framing and matting, Creativity, Off Camera Lighting, Graphic Design and posing of various subjects. These venues included everything from PPA Marketing in Biloxi (2002), to Regional conventions, State conventions, Local PPA Affiliates and private workshops/seminarss. Everything from 1 1/2 hours to full day. Can customize; have taken classes on being a creativity coach as well as a life coach. The name of one of these is Revive, Renew, Rejuvenate, Restart and Refresh: making yourself and your business new in this ever-changing marketplace. This is a 1 1/2 to 3 hour program. How to work with recipe cards to accomplish your daily tasks. Simplify your life. Starting with photographs and turning them into works of art.This program is generally a half day program with an extended version of a full day that includes hands on and practice. How a studio can work over many genres. This program can go from a short 1 1/2 hours to a full day encompassing defining different areas and how to price and market each area. Showing tools and their use for Graphic Design in Photoshop, Illustrator, and InDesign. Great for marketing purposes and for client jobs.